1 Main zippered compartment with separate divided internal pocket, 1 front flap zippered compartment, and 1 pocket under the hook and loop fastener flap. 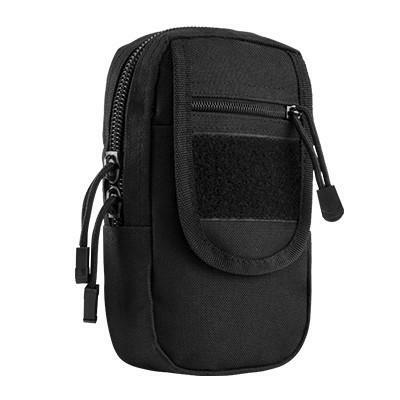 Pouch will works well as a small IFAK or EMT pouch. Can also work as a concealed carry pouch, please use appropriate holster (not included) to protect trigger guard area.